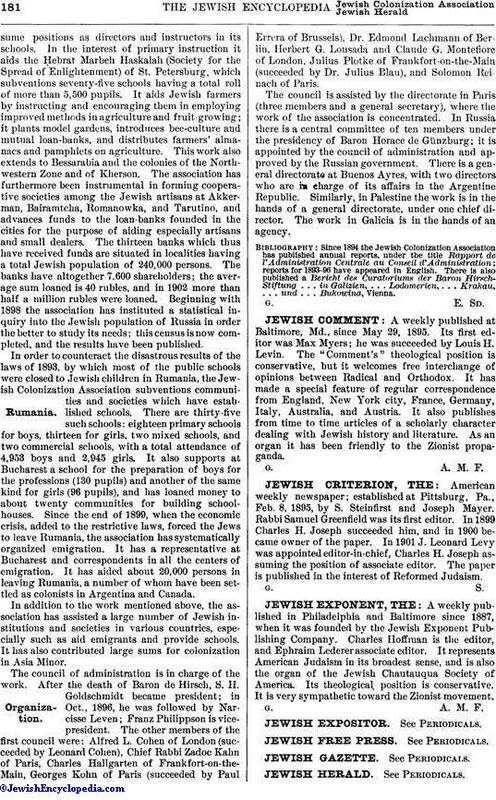 A weekly published in Philadelphia and Baltimore since 1887, when it was founded by the Jewish Exponent Publishing Company. Charles Hoffman is the editor, and Ephraim Lederer associate editor. It represents American Judaism in its broadest sense, and is also the organ of the Jewish Chautauqua Society of America. Its theological, position is conservative. It is very sympathetic toward the Zionist movement.